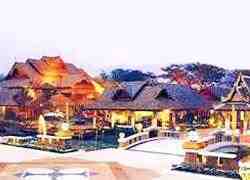 Khum Phaya Spa Resort Ban Mai, Hotel Thailand. Limited Time Offer! It is situatedRead more at 50 Huay Kaew Road Tambol Chang Puak Amphur Muang in the west section of Ban Mai, at only 69 minutes by car distance from the center.Of a Luxury category, the Khum Phaya Spa Resort has all the comforts such as : n.a..
Sparrow's Nest Guest House offers budget accommodation with free Wi-Fi, conveniently located on Chiang Mai’s Sunday Walking Street within the Old Town. It features massages and free private parking.